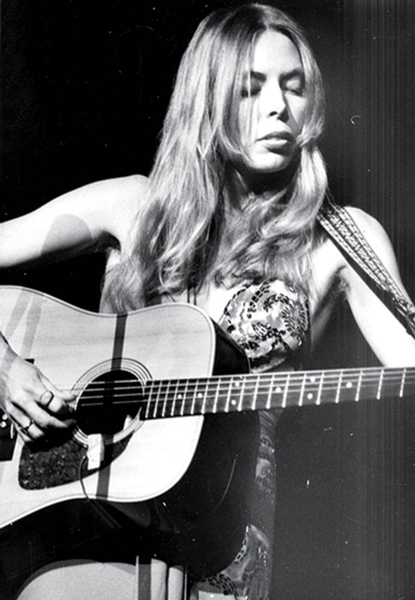 Until David Yaffe's Reckless Daughter: A Portrait of Joni Mitchell, Mitchell had never before cooperated with previous biographers. And based on the interviews she gave Yaffe for his book, the legendary singer-songwriter seems eager to finally spew. One-time lover James Taylor was "broody and moody ... incapable of a relationship." David Crosby, another ex, is called an "incompetent" producer of her first album. Bob Dylan's original recordings for Blood on the Tracks were "butchered up" for its eventual release. Her first husband, Chuck Mitchell, was guilty of "academic stupidity." Singing "Helpless" with Neil Young and Robbie Robertson at "The Last Waltz," she recalls they were "so high, and they were so out of tune." It's easy to see why Yaffe, a Syracuse University professor and author of books on jazz and Dylan, was granted unprecedented access to the press-wary Mitchell. In prose that shifts between chatty, impressionistic and reportorial, Yaffe sympathetically traces the outline of the musician's life, from her childhood battle with polio through her life-threatening aneurysm in 2015. Working his way through her albums, he offers up detailed takes on recording sessions, song tidbits (her dig at another ex, Leonard Cohen, in "A Case of You"), even chord changes. Starting with the magical Court and Spark, Yaffe also chronicles her career-crippling love of jazz in fascinating detail, including her affair with then-married bass iconoclast Jaco Pastorius. Still, it's Mitchell's candor and often startling memories that propel the book. She recalls a late-life miscarriage, the time a coked-out Miles Davis made an aggressive, clumsy pass at her, the physical abuse she suffered at the hands of drummer and beau Don Alias, and the cocaine addiction that began when she hooked up with Dylan's Rolling Thunder Revue in 1975. (Of her affair with Sam Shepard during that tour, she says, "For me, on coke, I found him very attractive.") Dismissing stories that she attempted suicide after breaking up with Jackson Browne, she tells Yaffe, "I'm crazy but not that crazy." Insane or not, Reckless Daughter looks at Mitchell's life through all sides now. This article has been viewed 1,735 times since being added on November 8, 2017.